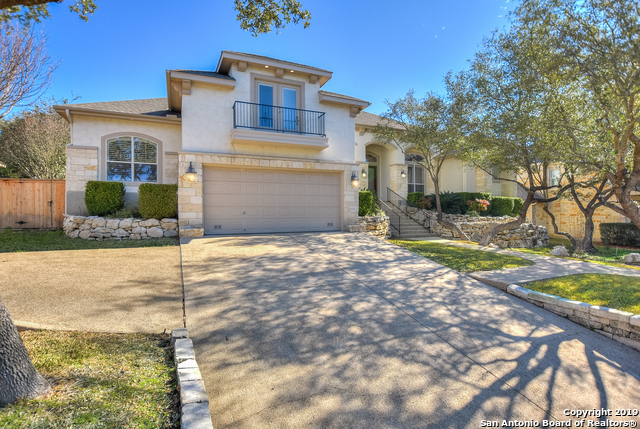 All Province at Vineyard homes currently listed for sale in San Antonio as of 04/26/2019 are shown below. You can change the search criteria at any time by pressing the 'Change Search' button below. "This amazing home has 5 bedrooms, an office and 3 living areas! The sought-after neighborhood is conveniently located with quick access to 1604! The attention to detail and the upgrades are second to none. Enjoy an outdoor kitchen with a (DCS grill), swim in the Keith Zars pool with swim shelf and new heater while hosting parties on the beautiful flagstone patio. Home has hardwood floors, remodeled master bath, plantation shutters through out, a carpet allowance and a 3 car side- entry garage! D"
"Impeccable, amazing location, and updated finishes throughout! Enjoy high ceilings, tons of natural light and space for everyone. This comfortable home lives like a one story and is truly move-in ready. Only room upstairs is game/media room with a bath and Juliet balcony. Kitchen includes a gas cooking and stainless appliances. True working office space with glass french doors, family room opens to kitchen. Master suite is vast with siting area and luxurious bathroom. Lush backyard w/outdoor kit"